During much of World War II, the U.S. Army relied on the M3/M5 Stuart series of light tanks for cavalry reconnaissance missions. While it was a mechanically reliable vehicle, and fairly fast and maneuverable, the Stuart‘s design dated back to the 1930s, and it was all but obsolete by late 1942 as its thin armor, high silhouette, and light 37mm main gun made it a liability to its crew. In 1943, the Army began developing a new light tank to replace the Stuart. The result was the M24 Chaffee, which entered service in late 1944. Recognizing the M3 design was almost obsolete in 1941, the Army began work on a replacement light tank designated the T7 in February 1941. Armored Force requirements necessitated the addition of increasingly heavier firepower (first a 57mm weapon, then a 75mm main gun) and increasingly larger engines for better performance. By August 1942, the T7’s weight had grown from fourteen tons to twenty-nine tons when combat loaded. 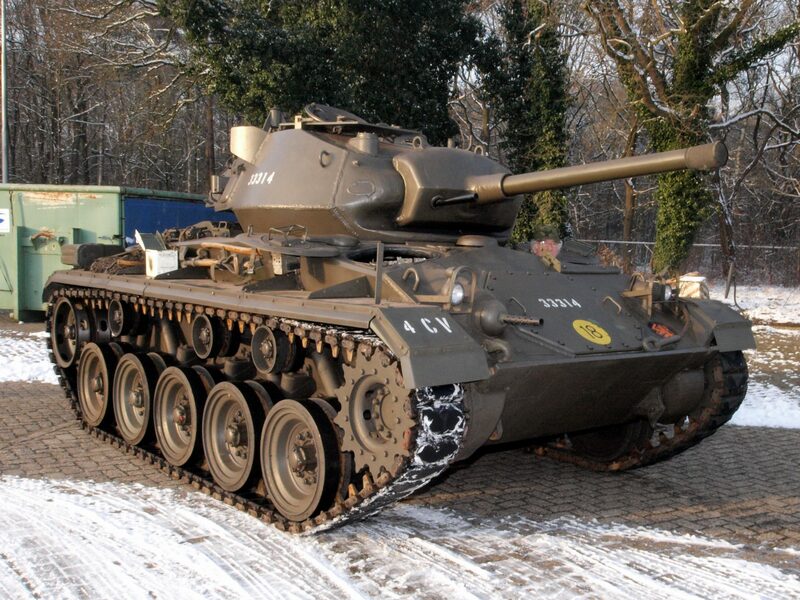 When the T7 was standardized later in the year, it was redesignated as the M7 medium tank. Over the course of development, the T7 was transformed from a light tank to a poorly performing medium tank, and only seven production vehicles were accepted by the Army before it was canceled in March 1943. Combat experience in North Africa in 1942-43 proved that the Army’s light tanks, even the improved M5A1s, had little value on the battlefield, even in a scouting role. Not only was the M5 outclassed by German tanks and unable to defend itself against them, it was also vulnerable to antitank guns and field artillery. Nevertheless, the Army still believed light tanks could fulfill a valuable role, particularly reconnaissance missions, as long as they avoided direct confrontations with enemy armor. As a result, M5s would remain in tank and cavalry reconnaissance units until the Army could replace them with an improved light tank. Early experiments to simply mount a 75mm gun on an M5 chassis proved feasible, but the larger gun took up so much space within the tank and added such a significant amount of weight that machine guns and other features had to be eliminated, something the Armored Force was not willing to do. In March 1943, the Ordnance Department authorized development of a new light tank designated the T24. A month later, on 29 April, the Army approved the T24’s design and assigned the Cadillac Motor Car Company (which also produced the M5) of General Motors the task of developing the tank. To speed up development, Cadillac incorporated a hull design intended for a self-propelled artillery system. Cadillac modified the design by sloping the armor, a move that increased protection but kept weight in check. The T24 was equipped with a larger three-man turret (the M5 had a smaller two-man version) to mount a 75mm gun. A new torsion bar suspension replaced the older vertical volute system found on the M5 and gave the new tank a better ride and a more stable gun platform. Designers also incorporated wider tracks on the T24 to reduce ground pressure and improve cross-country mobility. The T24 was powered by the same dual Cadillac Series 42 V-8 gasoline engines as the M5, but Cadillac installed an improved transmission on the T24. Work on the T24’s 75mm gun took place at the Rock Island Arsenal in Illinois. The gun eventually mounted on the T24 was a derivative of the T13E1 lightweight 75mm gun used on the B-25H Mitchell medium bomber. Designated the M6, it shared the same ballistics and fired the same ammunition as the M3 75mm gun found on the M4 Sherman, but used a different recoil system that allowed for a shorter recoil when the gun was fired. Cadillac delivered the first pilot vehicle to Aberdeen Proving Ground, Maryland, on 15 October 1943. Trials uncovered some problems with the new recoil system and some automotive components, but overall, the T24 performed well. All problems were largely rectified when the second pilot vehicle underwent Armored Board tests at Fort Knox, Kentucky, in December 1943. The board was pleased with the vehicle’s performance but requested some additional modifications, such as the use of wet storage for main gun ammunition and a vision cupola for the tank commander, before it went into production. The Ordnance Department’s initial orders for the tank, now designated the M24, were for 1,000 vehicles, but this was soon increased to 5,000. Production of the M24 began in April 1944, but it did not really begin to pick up until June after manufacture of the M5A1 ceased in May. In addition to Cadillac, the Army selected a second manufacturer, Massey-Harris (which had also produced M5s), to build M24s. A total of 4,731 tanks were manufactured by the time production ended in August 1945. The M24, nicknamed the Chaffee in honor of Major General Adna R. Chaffee, Jr., the “Father of the Armored Force,” weighed in a little over nineteen tons (38,750 pounds). It had a length of 16 feet, 9 inches (18 feet with the main gun), a width of 9 feet, 4 inches, and a height of 8 feet, 1 inch. Since the M24 was a light tank, the armor was relatively thin, with a maximum thickness of 1.5 inches at the gun shield and 1 inch at front of the hull, turret, and sides, but it was sloped (particularly on the turret and the front of the hull), providing better overall protection than the slightly thicker (but largely flat) armor of the M5 Stuart. The M24’s dual V-8 engines gave it a top speed of thirty-five miles per hour on roads, and its 100-gallon fuel tank gave it a maximum range of 175 miles. In addition to its 75mm main gun, the M24 was armed with an M2 .50 caliber machine gun mounted on a pintle at the rear of the turret for air defense; an M1919A4 .30 caliber machine gun in the turret alongside the main gun; and an M1919A4 in the bow. The Chaffee could carry forty-eight rounds of 75mm main-gun ammunition, 440 rounds of .50 caliber ammunition, and 3,750 rounds of .30 caliber ammunition. The M24 was also equipped with a 2-inch mortar in the turret for firing smoke rounds. The Chaffee was operated by a crew of five: commander, gunner, loader, driver, and assistant driver/bow gunner. Original designs for the M24 called for a four-man crew; the assistant driver was to serve as the loader when the main gun was in use, but this arrangement proved awkward, so a designated loader was added. Deliveries of the first M24s slowly began to reach U.S. forces in Europe in the late autumn of 1944. By this time, American armored officers had all but given up on the M5 light tank. An Armored Force observer visiting the 12th Armored Division was told that light tank companies equipped with M5s were so useless that they were often employed as “anti-tank gun bait” for the division’s M4 Shermans. Other units used M5s solely for resupply and evacuation vehicles for M4-equipped units, refusing to expose their Stuarts to direct combat. Army planners called for two tank battalions equipped entirely with M5A1s, the 744th and 759th, to receive the first M24s, followed by the light tank units of the 2d and 3d Armored Divisions. However, these plans soon went awry shortly after the first M24s arrived in France. As the new tanks were being transported to the front in December 1944, the Wehrmacht launched its surprise offensive in the Ardennes. 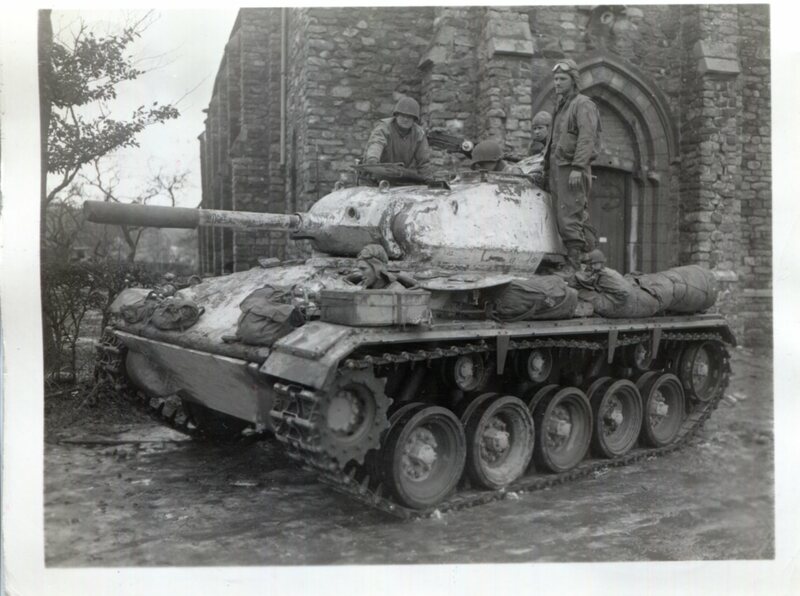 During the early confused fighting of what would become known as the Battle of the Bulge, two of the twenty M24s destined for the 744th Tank Battalion ended up with the 740th, which had just arrived in the European Theater of Operations (ETO) without tanks and was scrounging ordnance depots for vehicles. The two Chaffees were assigned to the 740th’s Company D on 20 December, and both took part in the fighting near Stoumont and La Gleize in Belgium that finally stopped Kampgruppe Peiper and its drive to the Meuse River. The 744th Tank Battalion received the remaining eighteen M24s on 24 December but was not fully equipped with Chaffees until 15 February 1945. Tank crews found the M24 possessed several advantages over the older M5s and even the heavier M4s. 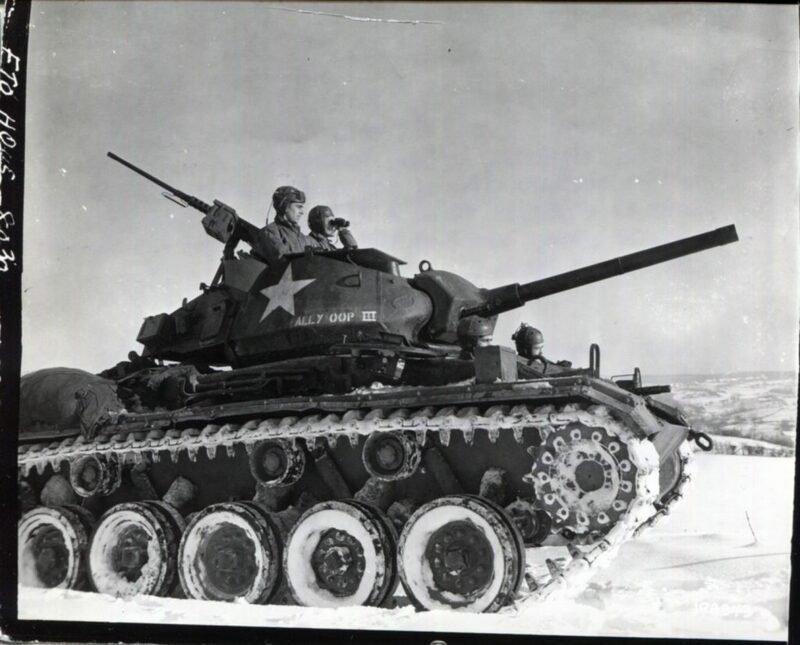 Tankers praised the Chaffee’s speed, maneuverability, mobility in mud and snow, low silhouette, and mechanical reliability. The M24 also earned high marks for its telescopic sights and ample room in the fighting compartment that improved crew efficiency and reduced fatigue. The M24’s 75mm main gun was a significant improvement over the 37mm gun on the M5, and while they were not designed for head-to-head battles with the heavier German tanks, a handful of Chaffees scored victories against enemy armor. Nevertheless, tank crews also found faults with M24, some of them inherent in any light tank design. 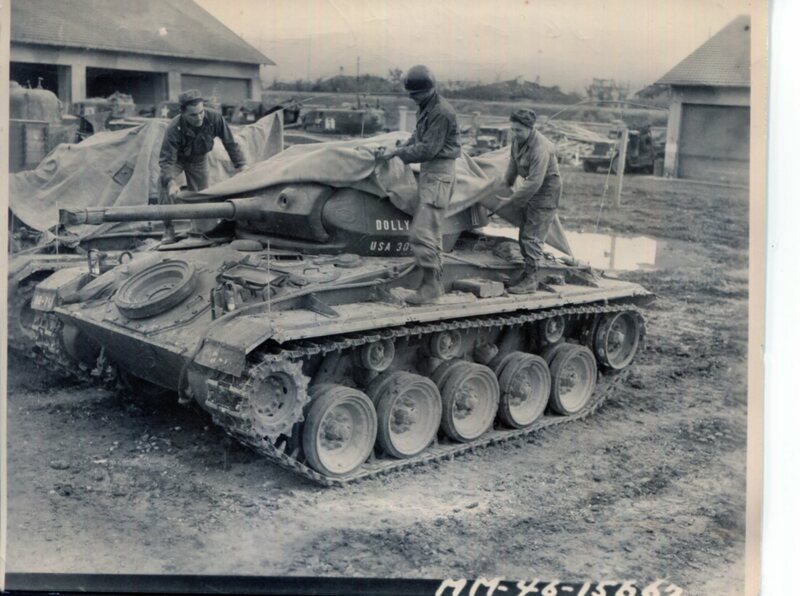 A report from the 744th Tank Battalion claimed the Chaffee provided no appreciable improvement in armor protection and that its belly armor provided little protection against enemy mines. It also added that the 75mm main gun, while better than the M5’s 37mm, was still generally incapable of destroying enemy tanks except at very close ranges, and the amount of ammunition carried by the Chafee was insufficient—crews usually expended their full ammunition loads after brief periods of combat. Tank crews also complained about the awkward placement of the .50 caliber machine gun. As more M24s began to arrive in Europe, the Army modified its original plan to reequip its light tank units in armored divisions and independent tank battalions with M24s. Instead, the Army prioritized the delivery of M24s to cavalry reconnaissance squadrons. 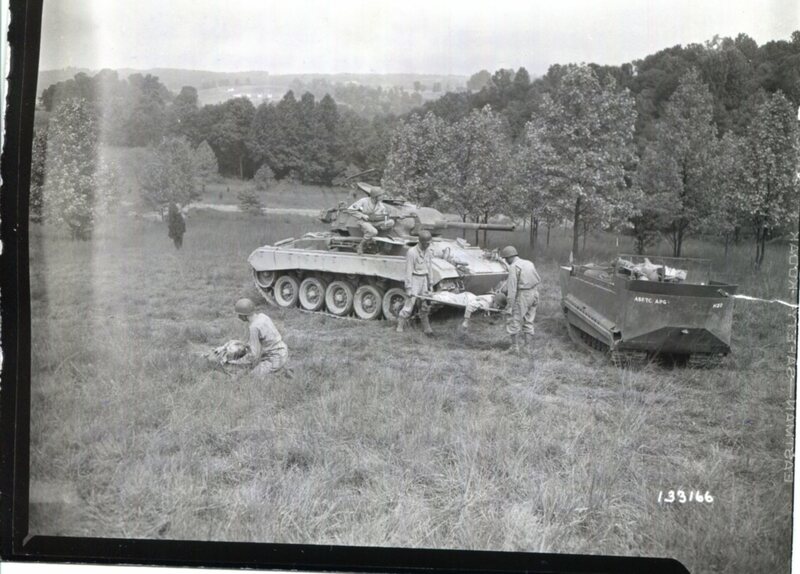 While cavalry troopers had similar complaints about the M24, overall, they were much more satisfied with the Chaffee’s performance, especially its speed and mobility, than tank battalion crews. Once cavalry units were reequipped, armored divisions then began to switch out their M5s for M24s. The Army’s last four armored divisions to arrive in the ETO, the 8th, 15th, 16th, and 20th, were already equipped with Chaffees by the time they entered combat. 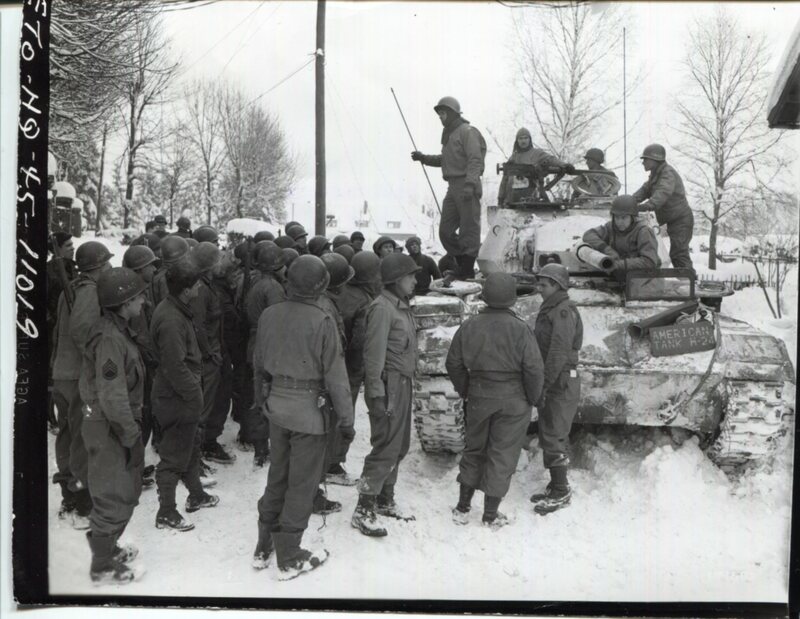 Most of the M24s deployed to Europe saw action in the Ardennes-Alsace, Rhineland, and Central Europe campaigns; only a handful reached Italy for service with the 1st Armored Division’s 81st Cavalry Reconnaissance Squadron. None saw action during the fighting in the Pacific. The Marine Corps received ten M24s for evaluation but rejected the Chaffee for service. The British Army received 302 M24s through Lend-Lease by the end of the war and was very pleased with the tank’s performance. After World War II, the M24 equipped U.S. Constabulary units performing occupation duties in Germany and Austria. They also served with occupation troops in Japan—tanks such as the M4 were too heavy for Japanese roads and bridges. 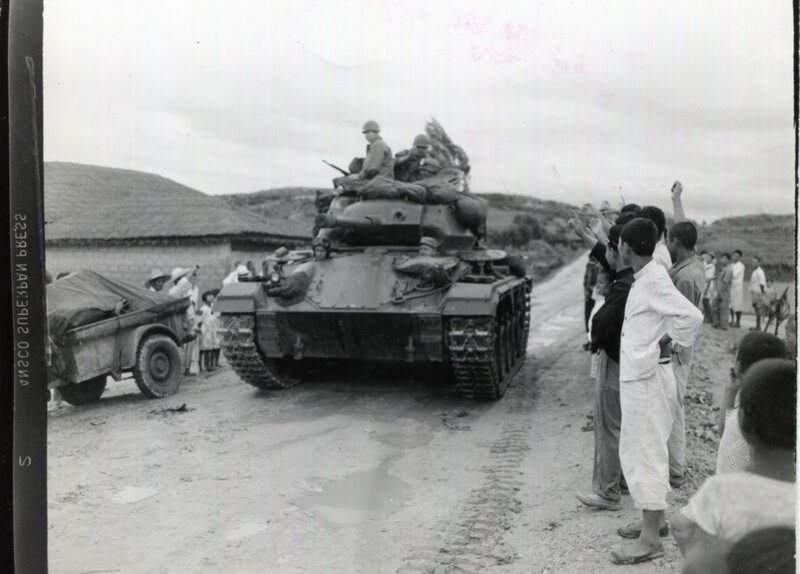 When war broke out in Korea on 25 June 1950, the Army rushed M24s to the fighting front in support of the 21st Infantry Regiment, 24th Infantry Division. During combat with the powerful North Korean T-34s, the Chaffees performed badly, partly because they had been poorly maintained during the occupation of Japan. Despite being overmatched, the outgunned M24s managed to destroy as many as eight T-34s before large numbers of M4E8 Sherman medium and M26 Pershing heavy tanks arrived in Korea and replaced them as front-line tanks in the fall of 1950. For the rest of the war, the M24 was assigned to divisional reconnaissance companies. By 1953, the Army had withdrawn the M24 from service and replaced it with the M41 Walker Bulldog light tank. The M24 chassis proved to be so reliable and adaptable that it was converted into several other systems, including the M37 105mm self-propelled howitzer, the M41 155mm self-propelled howitzer, and the M19 multiple gun motor carriage (armed with twin 40mm Bofor antiaircraft guns). Both the M37 and M41 saw action in the Korean War, while the M19 was used in World War II and the Korean War. The United States supplied many of its allies with surplus M24s in the years following World War II. France was the largest recipient with 1,254 Chaffees. French M24s saw action in colonial wars in Indochina (including the Battle of Dien Bien Phu in 1954) and Algeria. Other NATO allies, including Norway, Belgium, Turkey, and Italy were equipped with M24s. South Vietnam received 137 Chaffees from the United States, but South Vietnamese M24s saw more action in the coup attempts of 1963 and 1964 than against the Viet Cong before being replaced by the M41. In all, the armed forces of twenty-eight nations were equipped with the M24, and a handful of Chaffees currently remain in service. The M24 Chaffee was the last U.S. light tank to see extensive combat action. While a significant improvement over the M5 Stuart, the M24 still possessed many of the drawbacks found in light tanks, namely thin armor and relatively weak firepower. Nevertheless, when employed in its intended role, reconnaissance, the M24 proved to be an effective vehicle, and it capably served with the U.S. Army in two wars as well as the armies of many of its allies.